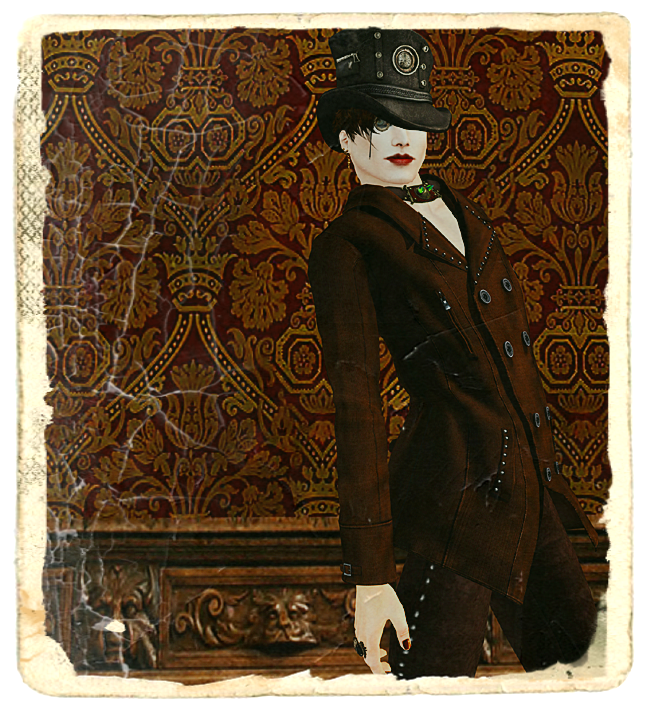 It’s Steam Hunt time, my sartorial darlings! 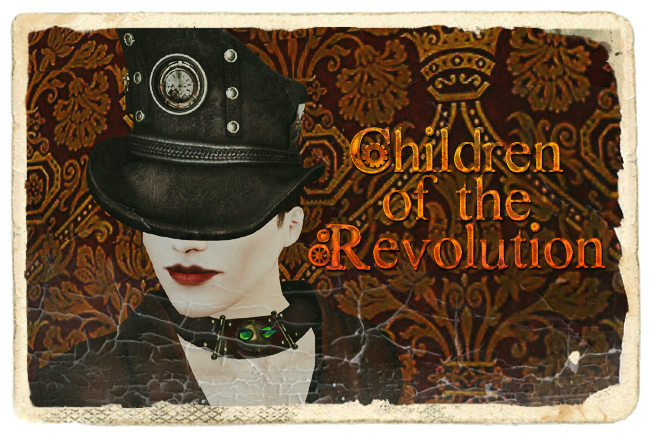 And that means it’s time for Skell to put together a 2014 variation on his steampunk look, so here it is (together with info about my Steam Hunt prize, and other new steamy goodness in the store). UPDATE: It’s March 1st and the hunt has begun! 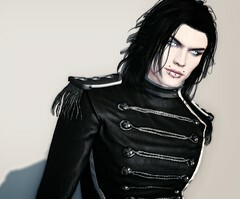 Here’s a full SLurl list of all participating stores, from the official hunt blog. This year’s look is a mesh-n-clothing mishmash. (Try saying that five times, fast, after a few bevvies…). 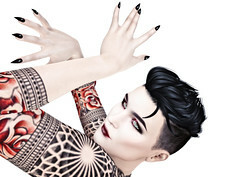 I’ve done some nice arty shots (*snort*) to begin with, but fear not; you can get a better look at the outfit toward the end of the post, when I post the images without all the arty-farty stuff. Keep an eye on the background. 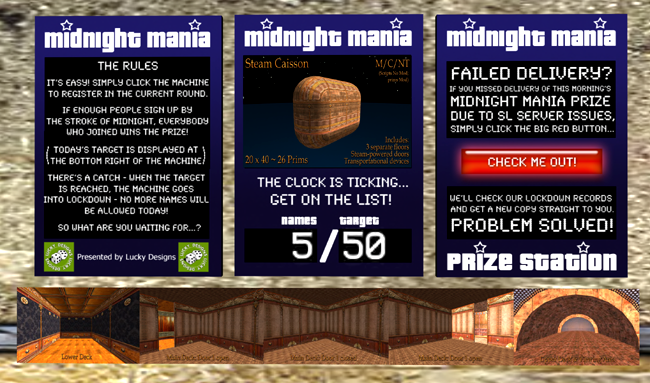 It’s a new build I’ve put out in the store, and I’ll show you that in full later on, too. 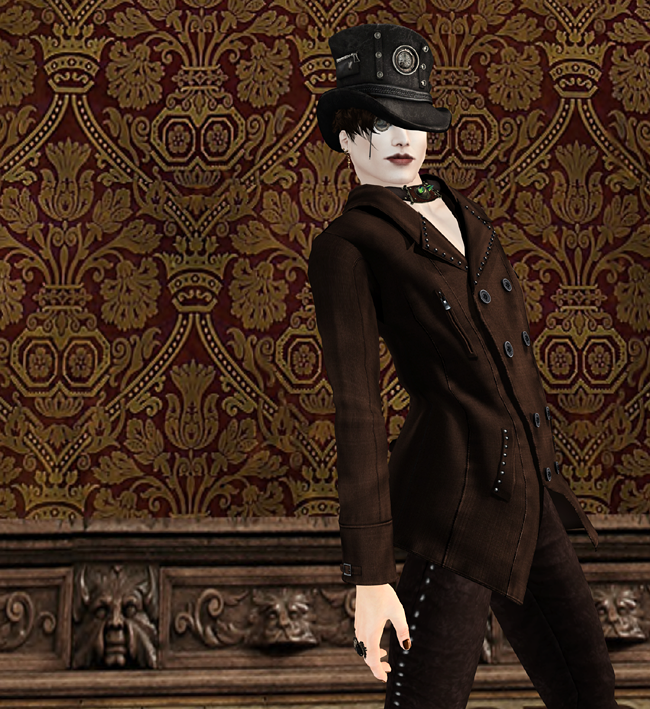 Jacket from Grasp, pants from Sn@tch, boots from Hoorenbeek, hat and monocle from Yasum. 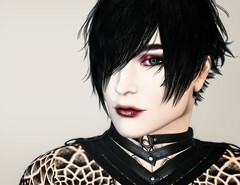 Collar from Pure Poison, ring from KOSH, hair from Dura and eyes from IKON. Enough of the arty stuff. Have the same shots, in full and gorgeous lush colour! 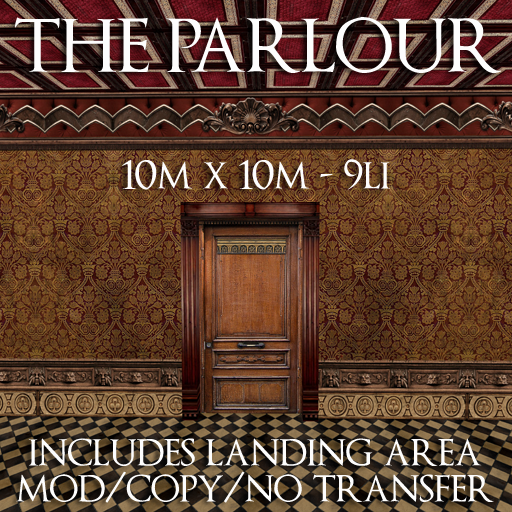 The background is my new skybox, called The Parlour. It’s just 10m x 10m and has a 9LI. I’ve included a small curved landing point, so it’ll make a cosy little home or store, or just use it as a photo booth. 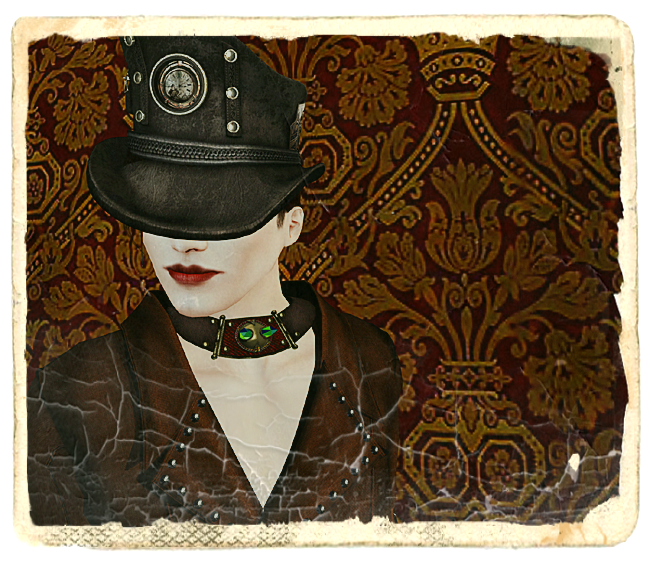 Find it at Domicile, on the Steampunk wall. 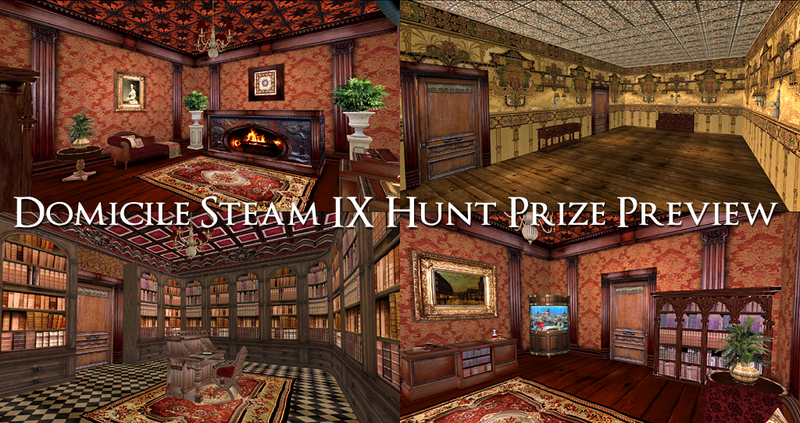 The STEAM IX Hunt begins at midnight tonight, and I’m at #55 with a very special prize: a fully-furnished Victorian skybox. Coming in at 20m x 20m and 118 prims, it contains lots of furniture and accessories for the well-to-do gentleman and his lady. 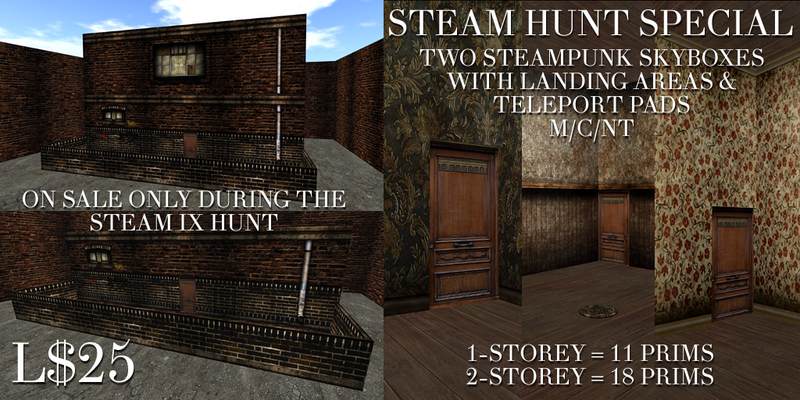 The hunt prize is already out in the store (SLurl here) and the Luckies and MM boards can be found here (Slurl). 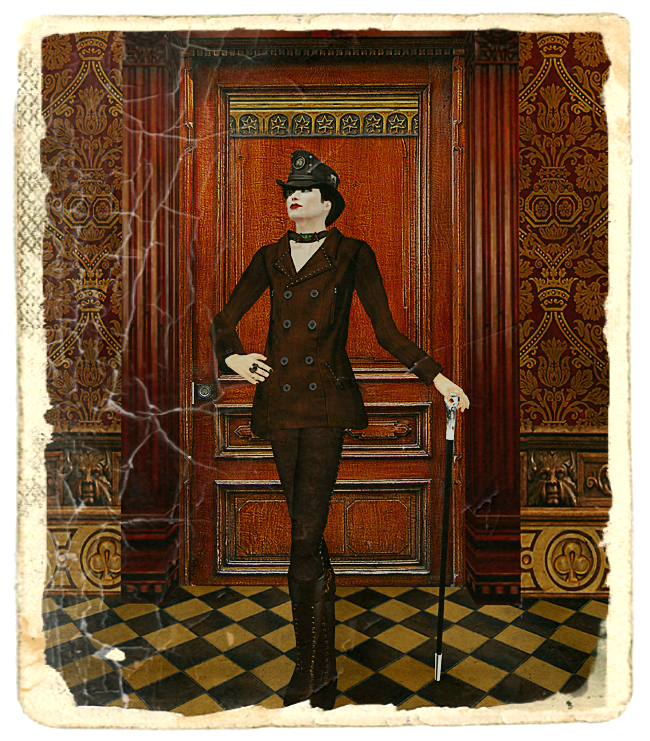 This entry was posted in Hey look, I made stuff!, Suited and Booted and tagged Domicile & the Gentlemen Bastards. Bookmark the permalink.